Every day, article upon article is published online seeking to answer the question “does protein powder work to build muscle?” Mostly, people argue that “yes, protein powders (primarily in the form of protein shakes) work”- with work meaning = they build muscle. They say that you NEED protein powder to put on size and gain strength. Protein powders aren’t magic. They are FOOD. Just food. Why do people consume them? Because they’re a convenient way to get protein in one’s diet. What’s protein? A key macronutrient that’s in charge of both sustaining and building muscle mass. It is a primary element of the function of living bodies. Without protein? Hasta la vista, baby – we’d be unable to survive. We couldn’t rebuild our bodies’ muscle, tissue, or organs. We couldn’t function. We NEED protein. But ingesting protein in isolation (whether it be from protein powder or say… chicken breasts) won’t magically ‘work’ to build new muscle mass. 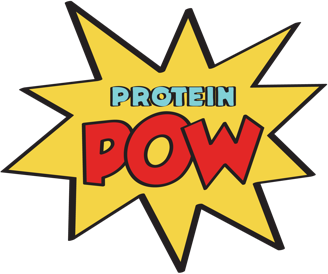 Without SERIOUS resistance training work at the gym, protein is just… food. Just food. They sell a fantasy. A downright LIE. Because, without YOU putting in actual work in the gym, ridding your diet of junk, and leading an active lifestyle, protein powders (just like any other FOOD) can not ‘WORK’. Of course, you NEED protein to sustain – and build – muscle mass so taking in extra protein, from whichever source you prefer, is beneficial. Extra protein CAN (when smartly ingested alongside resistance training) help you gain muscle. Equally, when coupled with resistance training, extra protein can yield greater fat loss. But that’s any protein – not JUST powders. That’s protein from wherever you prefer to get it. And that’s alongside resistance training. Without YOU putting in the work, protein alone, no matter where it comes from, won’t give you a Hulk-like figure. Unlike what a lot of people (women especially) think! I can (and very often do!) go ON AND ON AND ON about this because I think it matters. To women especially! They have been the worst ‘hit’ by the marketing campaigns of protein companies that equate regular protein powder to muscle. Far too many women actually believe it! That either protein = muscle. I’ve experienced this first hand, when handing out samples of our ready-made Pow foods to members of the general public. Couples will come up and only the man reaches out to sample what we’re dishing out because the woman ‘doesn’t want to get bulky.’ Huh? I honestly believe we need to start doing something about all this, you know? We need to promote the fact that, actually, protein is something EVERYONE can benefit from. It’s useful not just to build muscle but also to feel and perform our best in our day to day lives, especially as we get older.